Looking to get started in – or get back into – boat racing? 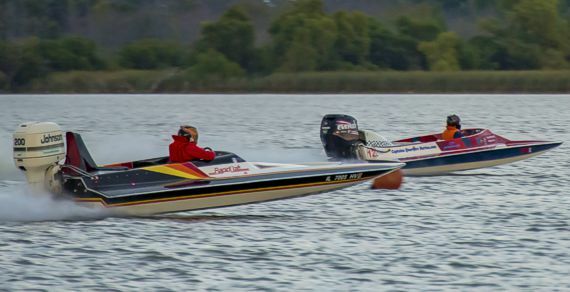 The NIDBA’s ProSport class is designed for drivers who are looking to get started in boat racing or who have a boat they’ve been working on for years that may not quite be fast enough to compete in the upper echelons of NIDBA race classes. Inboard or outboard, it doesn’t matter. If it’s fast, bring it out and have fun racing for little cost and lots of fun. Typically, these boats will run between 60 and 80 MPH in 800’ but if you’re closer to 60 than 80, don’t worry, we’ll make sure you run against somebody similar to you. Are you the fastest guy on your lake?... or do you THINK you’re the fastest guy on your lake? Well, the Lake Racer classes are for you. 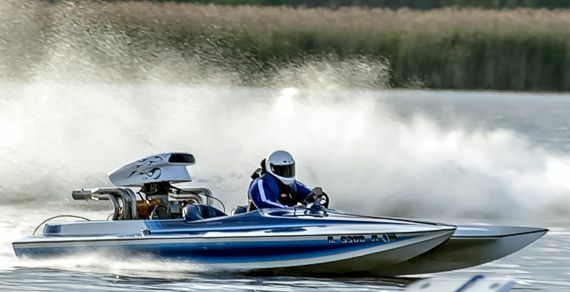 Our Lake Racer series of classes are designed for boats and motors that will run 80-95 MPH in 800’. Boats – even bass boats! 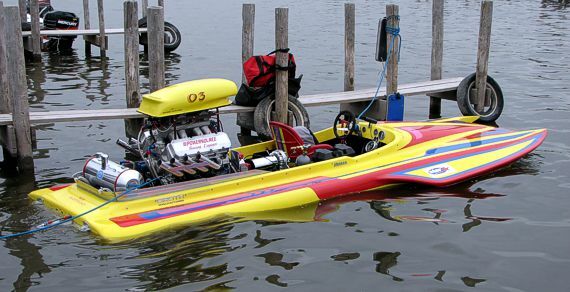 - with 280 HP motors on it are common in the Lake Racer Outboard class, while the Lake Racer Inboard class may have a boat with that big American metal V8 you had in your 1976 Monte Carlo shoehorned in between the stringers. Are you TRULY the fastest guy on your lake? The Outlaw class is designed for boats that you can take your friends out in and truly scare the *&%# out of them. Virtually anything goes motor-wise, so you could see motors in excess of 400 HP in this class with speeds approaching 100-110 MPH in 800’. These are full-blown race boats with open cockpits and seating for at least 3 people – Street Outlaws on water! 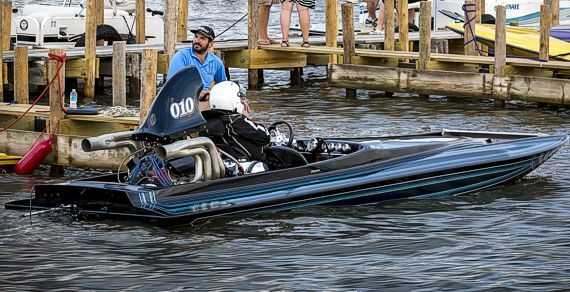 Take a light race boat and throw a ton of outboard horsepower at it running in excess of 110 MPH and... well you get the idea. 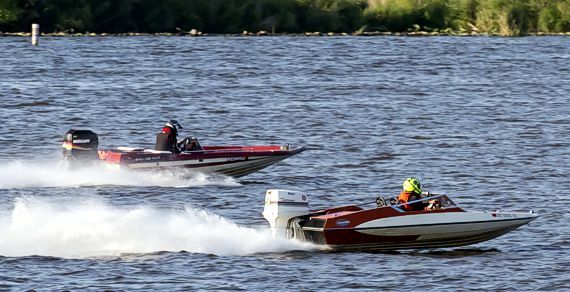 This is the fastest outboard class the NIDBA runs... like Indy cars on the water, these highly tuned speedsters sound like they’re ready to come apart at any minute. 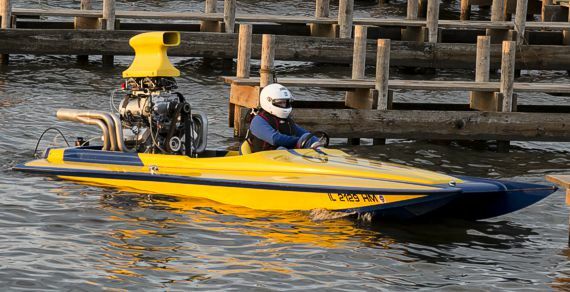 If you’ve never heard a boat with an engine turning 11,000 RPMs, you won’t believe your ears... or your eyes. This class may be low in number of carburetors, but it’s high in speed and action. Flatbottoms, tunnels, hydros all converge running big motors with a single carburetor. 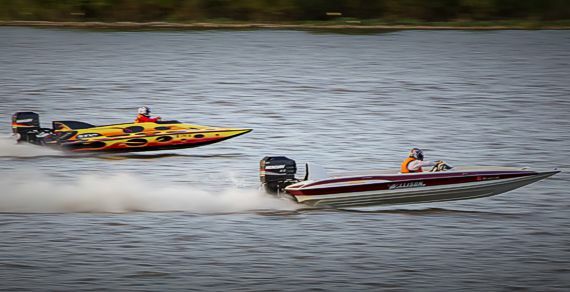 Designed for production-type and/or iron blocks of any size, these 100+ MPH boats are loud and proud. As the name suggests, we’re throwing multiple carburetors or EFI on top. Some of the fastest naturally aspirated boats in the country run here with speeds of 130 MPH not uncommon. You can do just about whatever you want here. That sound you hear just might be a nitrous system purging before its run. These boats are given wide latitude as to what they can run. If you’re naturally aspirated, you can do whatever you want as long as you’re not running nitromethane. If you are running a blower, turbo or have nitrous – have at it as long as you’re running gasoline. These boats commonly run 130-140 MPH in 800’. Street Outlaws on Water! Take a huge motor, throw a blower on top, and power it with alcohol. That is the MINIMUM requirement for this class, so that should tell you something. This class is not for the faint of heart. The sound – and the feel – of these boats just starting at the dock is something special. 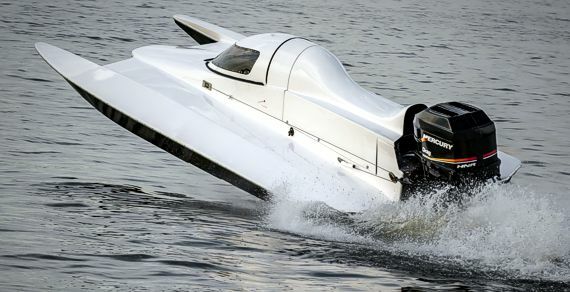 These boats are capable of running close to 150 MPH in only 800’. Don’t blink, or you’ll miss them!